A couple of weeks ago I wrote about my Big French Knot project which basically is a pixelated Rose stitched in French Knots. Today I will show you how I pixelate pictures in a photo editing program called GIMP. * GIMP is free software and comparable to (but not the same as) Photoshop. If you can't afford Photoshop, GIMP is a good alternative. 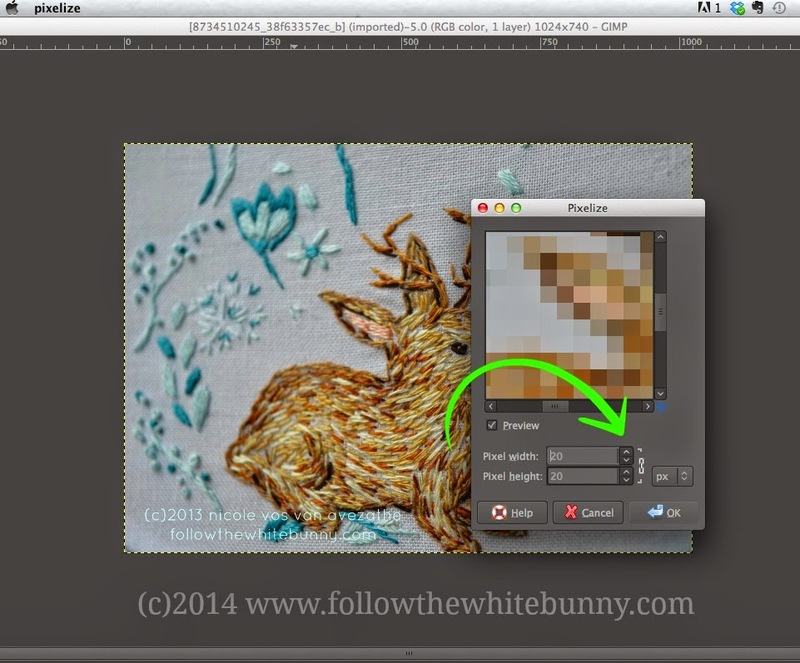 Open the photo you want to pixelate (or pixelize as GIMP calls it) by clicking FILE > OPEN. Some pictures 'translate' better to a pixelated image than others. If there is little variation in lighter and darker shades in the original photo it might just end up as a bunch of coloured squares in the pixelated version. Also: the less pixels you choose (we'll come to that in the next step), the harder it'll be to recognise whatever is on your photo. You can change the size of the pixels by using the little up-and-down arrows. The width and height are linked automatically so when you adjust the width, the height will be adjusted simultaneously. The higher the number, the larger the pixels will become. 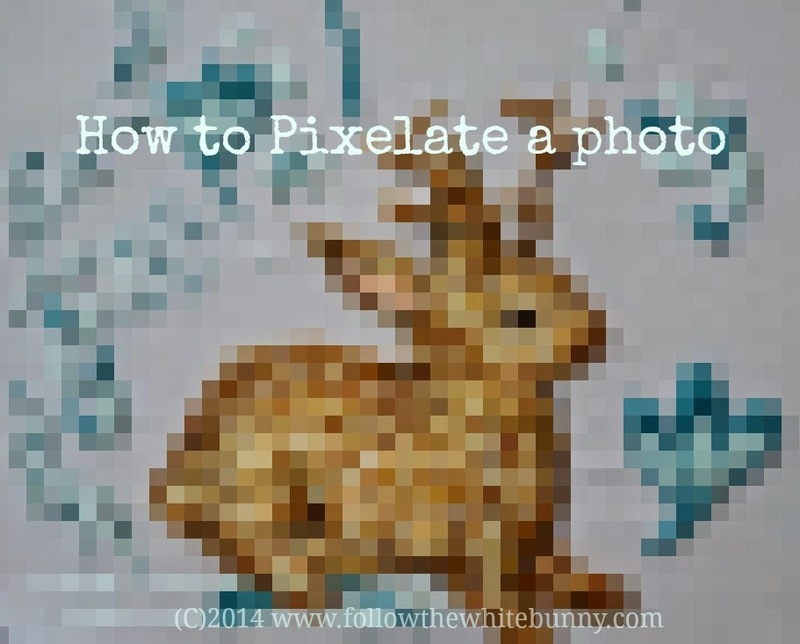 When you're done pixelating, you can export the image (in a PNG format for example) and save it for future reference. Go to FILE > EXPORT. I always use the standard settings in the export process. 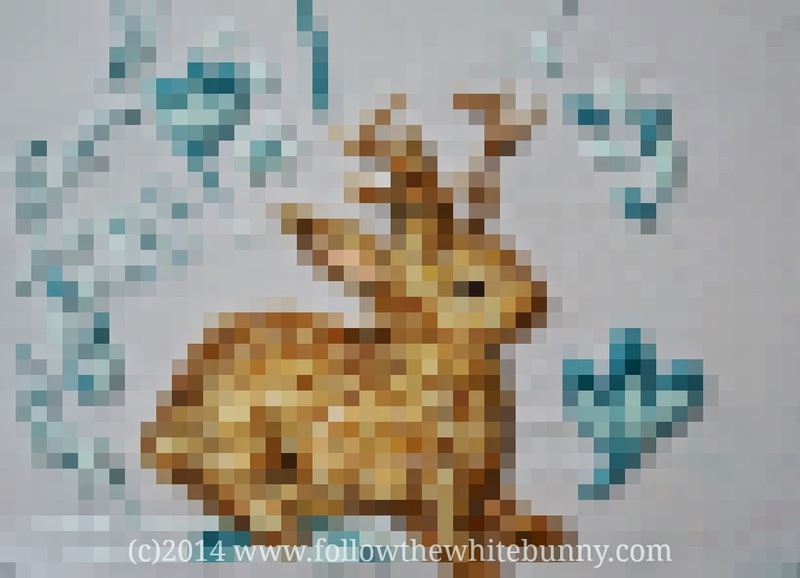 Et voila: you've created a pixelated picture! 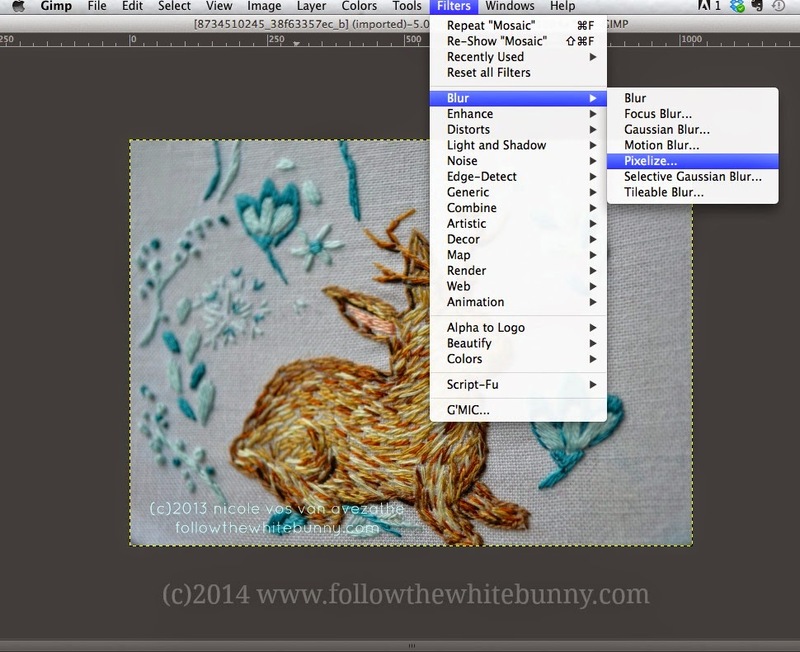 Although obviously not as sophisticated as dedicated quilt or other design programs (such a cross stitch design software), I figured this could be a nice free tool for some to prepare work on pixelated embroideries and quilts.